The idea that war is sometimes justified if certain moral criteria are met – if a war is ‘just’ – is deeply embedded in public consciousness. However, just war theory is only credible so long as we believe that just war is possible in practice. 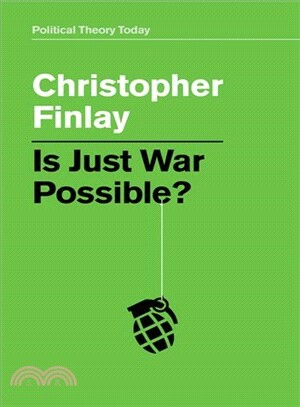 In this engaging and original book, Christopher Finlay elucidates the – often unstated - assumptions underlying our belief in the possibility of just war. He defends these assumptions from a range of objections, arguing that just war theory is a regrettable but necessary reflection of the moral realities of modern international politics. He goes on to argue, however, that in practice the employment of just war theory is complex, possible only on the basis of careful prior moral appraisal of a political landscape - and if war does turn out to be necessary, a balance must be struck between just war as a theoretical ideal and the practical realities of conflict. This book will be a crucial guide to the complex moral landscape of just war theory for all students and scholars of the ethics and political theory of war.